Over at Threadbanger I found this tutorial – How to Make a Cycling Cap: Threadbangers Project for Earth Day. What I love about this tutorial is that they use an old skirt to make the cap. I love how they incorporate the ribbon to the top, it adds so much to the cap. So if you are looking for an Earth Day project, try this one. This entry was posted in recycle, Recycled, tutorial on April 22, 2009 by Deanna. 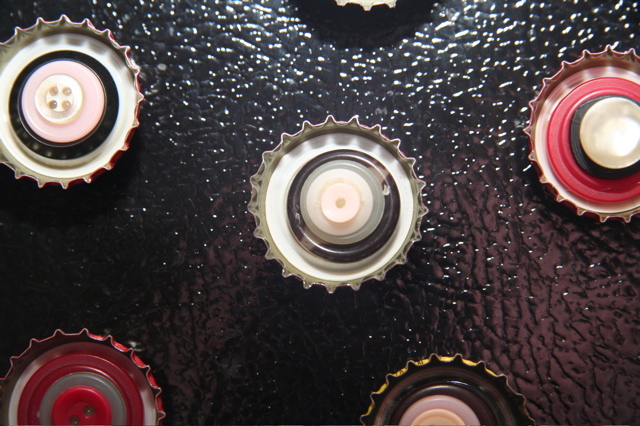 A friend of mine over at theWeeklyBrew.com gave me a bunch of Beer Bottle Caps a few weeks back. He had seen lots of items made with bottle caps on the internet so he immediately thought of me and asked if I would like to try something crafty with them. I looked on the different sites that I love for ideas and on Etsy I saw these cute magnets. Here is what my girls and I came up with. Find about 3 or 4 buttons that you like together and stack them on top of each other. 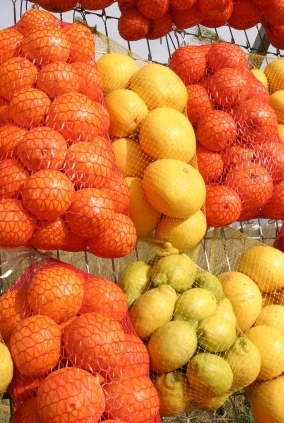 Make sure they gradually get smaller in size as you stack them, so that each color can be seen. Hot glue the buttons together. Hot glue the buttons to the middle of the inside of the Bottle Cap. This one was one that my daughter made, she cut out a picture from a magazine and glued it into the bottle cap using mod podge. Then she took some tulle and gathered it with some string and glued it to the back of the bottle cap with the hot glue gun and put the magnet on top of the tulle so that the gathered part is covered with the magnet. 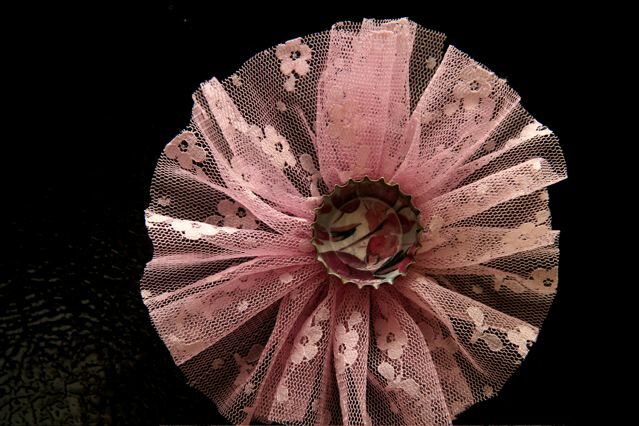 This entry was posted in DIY, recycle, tutorial on March 17, 2009 by Deanna. You know the mesh bags you buy onions, fruit or potatoes in? Don’t throw those away. You can re-use them. Here is a list of some of the many ways you can re-use your mesh bags instead of throwing them away. Cut the mesh bag into three 6 inch by 72 inch strips and lay the strips on top of each other evenly. Take a large needle, thread it and begin sewing down the middle of the strips in long basting stitches. 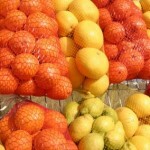 Secure by wrapping the thread around the center of the bunch, then tie into a tight knot. Trim the ends and separate the layers so they make a ball. When you reach the end, hold the thread in one hand and pull back on the nylon net to form a bunch of nylon net. 2. To Hold Sand Toys -Carefully cut the top open making sure the bag is in tact and store wet sand toys in the mesh bag, making it possible for the sand toys to dry by the time you get home from the beach. Also can be used in the bathtub for toys to dry out in after bathtime. 3. Use the big mesh bags for camping. When washing dishes, put the dishes in the mesh bags, and hang them from a tree until dry. 4. In the shower you can use those little slivers of soap that usually get thrown out and put them in a bag and use it for exfoliating. 5. How about an Earring Holder? Over at Our Little Apartment she gives you instructions on how to make your very own earring holder using a plastic mesh bag and a picture frame. This entry was posted in recycle on January 15, 2009 by Deanna. 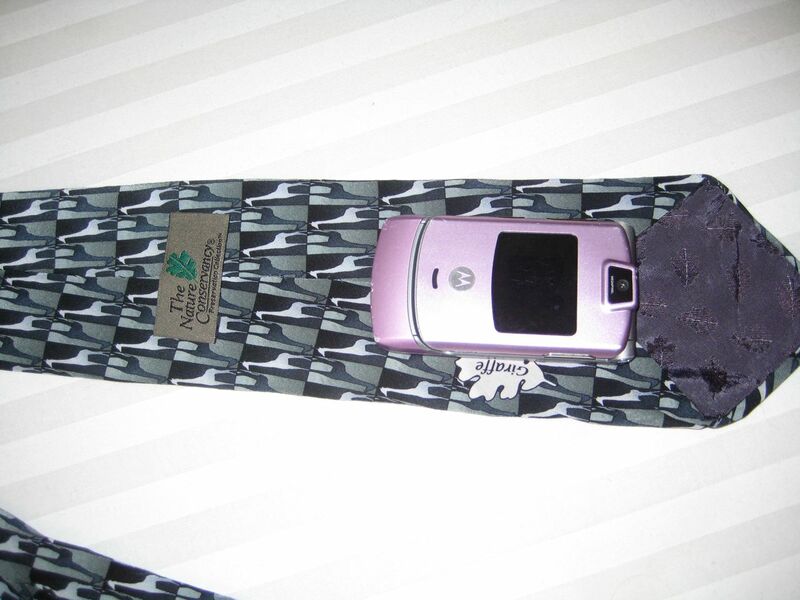 I found this tutorial over at familycrafts.about.com on how to turn an old necktie into a cell phone holder, coin purse or Ipod holder. I tried my hand at this and I think it turned out O.K. 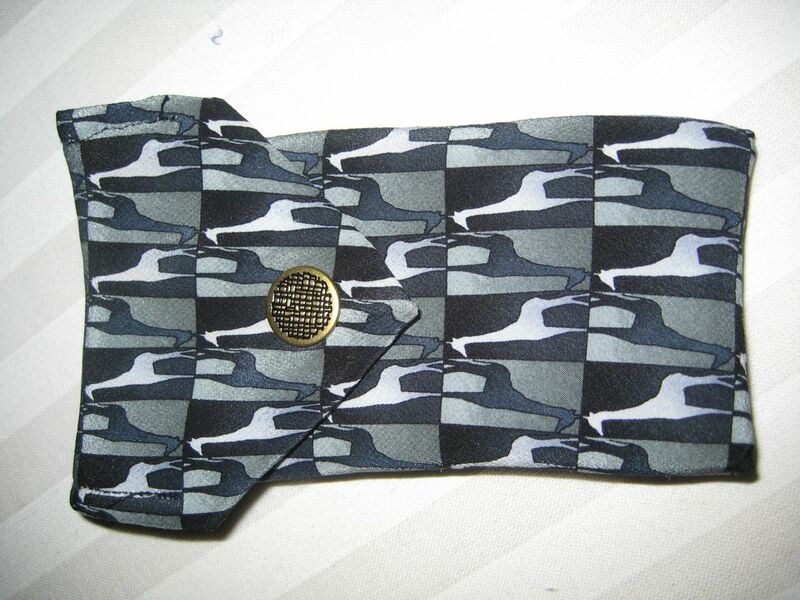 The necktie was one I found at the goodwill and was thinking of my niece because she loves giraffes. Thankfully I found this project and I think she will like it. Instead of using Velcro I used a snap for the closure. I had so many of them that I figured I would use what I have instead of buying something I didn’t. I think it looks cute. I am not sure how strong the snap will be but it did add some nice decor to the front. This entry was posted in DIY, I made this!, recycle on December 11, 2008 by Deanna. Who doesn’t have a ton of t-shirts laying around that they no longer wear? I have seen lot of tutorials on how to turn a tee into a tote or bag but none of them peeked my interest like this one did. I have so many ladies in my family that I thought this would make a great Christmas gift. 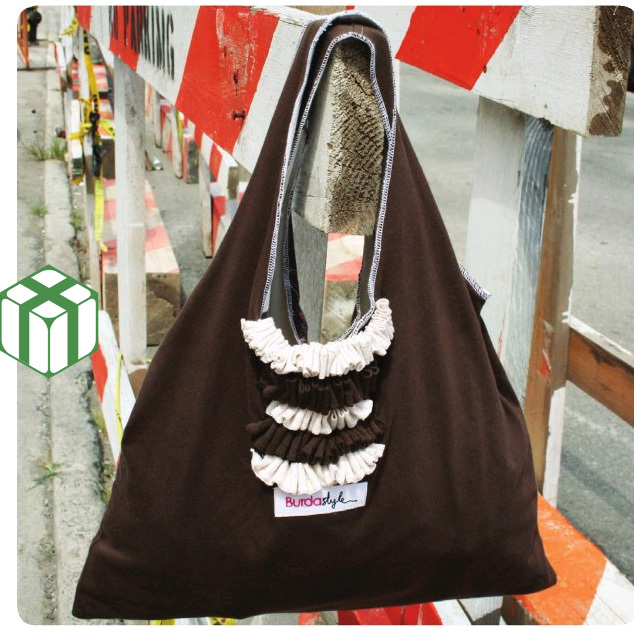 Over at Burda Style I saw this tutorial: T-SHIRT TOTE (Upcycle That Old Tee Into a Tote). This entry was posted in DIY, recycle on December 9, 2008 by Deanna. I have decided that Black Friday will be a relaxing fun day this year. And I have also decided that I will not participate in any of the Black Friday craziness. No tired crazy day running around with never getting what I intended to buy. Since my goal this Christmas is to make handmade from recycled items, I figured that Black Friday shouldn’t be an option anyhow. I have already made a great amount of aprons from recycled material for my lady friends but for the men, I am not sure what I am going to do yet. Any helpful ideas? 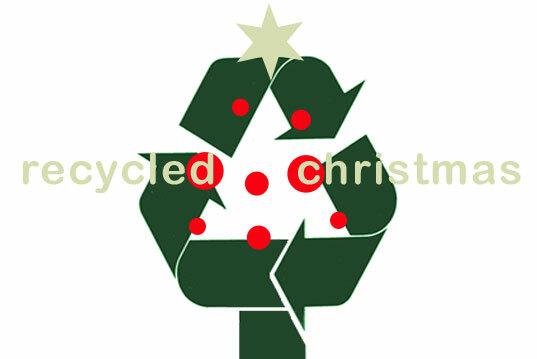 I found this site that has a list of 59 things you can make or recycle to give as gifts. They had great ideas. Here is the list from buy nothing Christmas 06 alternatives. 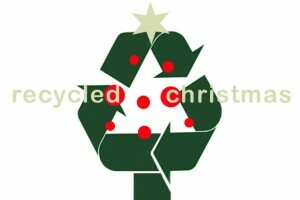 Love the earth and recycle your way through Christmas! This entry was posted in recycle on November 25, 2008 by Deanna.